[prMac.com] Tomsk, Russian Federation - BirdsCorp today is proud to announce the release of Easy Pill 3.0 for iOS, an update to their Medical app in new bright and clean design that offers advanced, daily tracking of all pills, capsules, and other medication with iCloud support for automatic sync between all the user's iDevices. 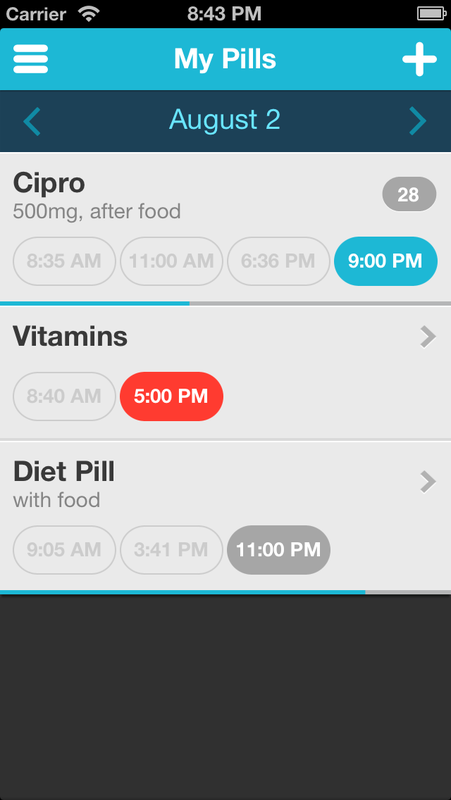 Featuring a daily list of medications by name with color-coded pill graphics, the app's easy to use GUI and automatic notifications make it easy to take pills on schedule. 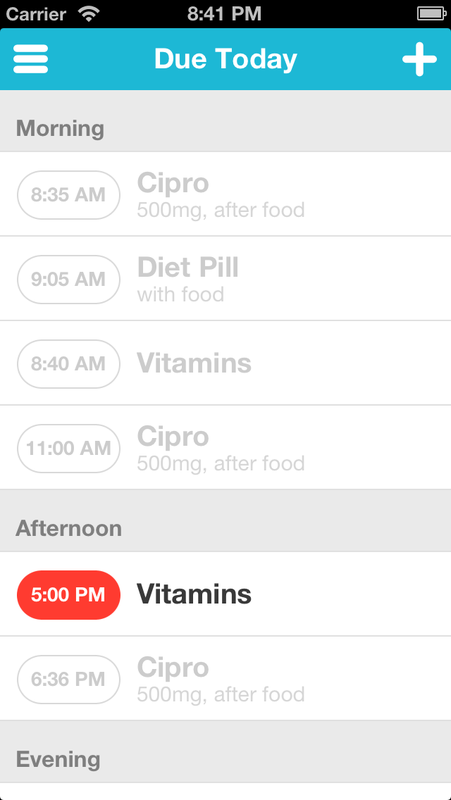 Users can select any dosing frequency and duration for each drug, including "as needed," and the time for doses can be entered easily via the app's unique, 24-hour Set Schedule grid. Especially convenient is Easy Pill's "Every X Hours" mode, where the app will automatically adjust dosing times based on when the first dose of the day is taken. The app displays all pills for a day sorted by medication name or alternatively in a Due Today view, where all doses are sorted by time and grouped for convenience into four parts of the day - night, morning, afternoon, evening. Easy Pill is the only pill tracker that manages medication as a course. The course duration can be set from 1 day to 1 year or taking constantly. The app displays elegant progress bar to see how close is the course to finish. Completed pills are moved to archive automatically - all past prescriptions will always be available at a glance. It's possible to email archived medications or repeat the course. BirdsCorp is pleased to introduce their new support website featuring unique system to build medication schedule online and import it to Easy Pill app via email or by scanning QR code. "We made a big update trying to meet most of requests we collected from our users during the past few months," commented Dmitry Polyankovskiy of BirdsCorp. "many new features were added but Easy Pill is still very easy to use as it was since first version: entry, notification, lookup, and sync are all so easy that users of any age and experience will love this app." Easy Pill 3.0 is $1.99 (USD) and available worldwide exclusively through the App Store in the Medical category. Review copies are available on request. Located in Tomsk, Russia, BirdsCorp is an experienced, independent company founded in 2011. Their goal is to build innovative products for everyone utilizing beautiful user interfaces and simplicity. Copyright (C) 2011-2013 BirdsCorp. All Rights Reserved. Apple, the Apple logo, iPhone, and iPod are registered trademarks of Apple Inc. in the U.S. and/or other countries. Other trademarks and registered trademarks may be the property of their respective owners.